The average rainfall in the Dakshina Kannada district was reported to be 76.2 mm and is expected to increase until Tuesday. 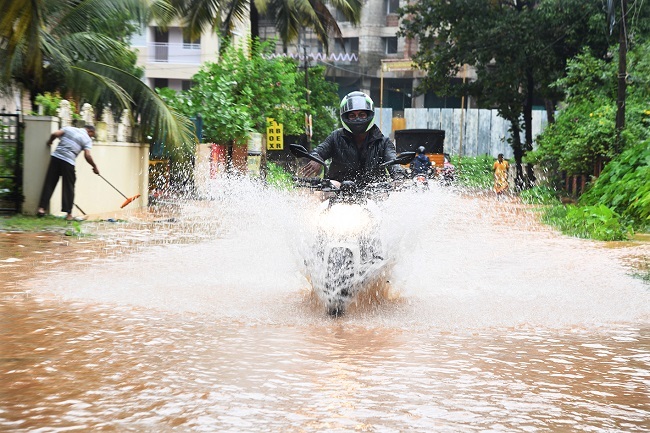 The coastal and Malnad regions of Karnataka continued to receive heavy rainfall with reports of inundation in parts of Mangaluru city on Friday. The heavy rainfall submerged low-lying areas in Kottara Chowki in the city, prompting authorities to declare a holiday for schools and colleges in the Dakshina Kannada district. 72.7 mm of rainfall was reported in the city. The Indian Meteorological Department has cautioned that the region would get heavy rainfall up to August 14. The sea condition was also described as rough with strong winds blowing in the westerly to north-westerly direction. The average rainfall of the district was reported as 76.2 mm and is expected to increase until Tuesday. The highest rainfall was reported in Bantwal taluk with 89.2 mm rainfall received in the last 24 hours. Surathkal received 80 mm of rainfall, Belthangady received 73.7 mm of rainfall while Mangaluru received 72.7 mm of rainfall. Puttur received 78.1 mm of rainfall while Sullia received 67.5 mm of rainfall. No holiday was declared in Udupi or Uttara Kannada districts. Parts of both districts are also being monitored closely after prediction of continued heavy rainfall. Kollur in Udupi district received 90 mm rainfall in the last 24 hours. Meanwhile, heavy rains were also reported in Kodagu district, which neighbours Kerala, however, no holiday has been declared in the district. Major rains have been reported in Chikkamagaluru district. The district administration has issued a warning to residents in low-lying areas and has set up rain shelters. Malnad and Bayaluseeme regions have been severely affected by rain. Inflow at Kabani water reservoir has reached to its maximum level. The excess water may be released, Chamarajanagar District Collector BB Kaveri said, adding that that residents living in low-lying areas close to the river have already been moved to a safer location. 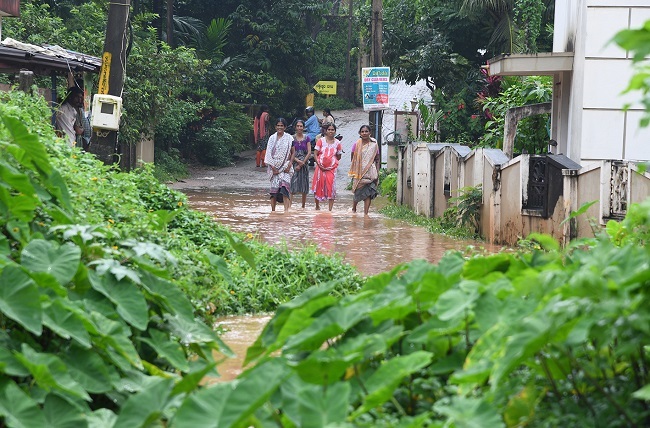 Earlier in the week, the rains had inundated parts of the district and caused landslides in hilly areas including on the Mangaluru-Madikeri highway. A flood alert has also been issued for areas along the banks of the Cauvery River after the state government decided to release water from Krishnarajasagara (KRS) and Kabini reservoirs to Mettyr dam in Tamil Nadu. Kerala has been receiving heavy rainfall for the past two weeks. At present, many parts of the state have been affected by flooding and over the past three days, 29 persons have lost their lives as a result.